About four years ago I went under the knife for a procedure many teenagers will endure; wisdom teeth extraction. I’d heard a lot of horror stories about what it might be like – stories about dentists who need to stand up on the chair to get leverage, for instance; gruesome descriptions of the cracking noise that comes as teeth are wrenched from their sockets one-by-one; etc. etc. You might not have had a general anesthetic before, but I bet you’ve tried alcohol (or other substances) and experienced a shift in your consciousness. Drugs work. But why? The insight my wisdom-teeth experience afforded me, and which David Eagleman expounds upon in his new book Incognito: The Secret Lives of the Brain, is that thoughts are physical. Eagleman is a neuroscientist at the Baylor College of Medicine, where he directs the Laboratory for Perception and Action, as well as the Centre for Neuroscience and Law. Incognito is his elegant attempt to lampoon the dualistic view (that the mind and body are separate) that has dominated western thought for centuries, and to demonstrate how truly bizarre the three-pound bag of goop inside your skull is in its operations. Consider this: there are a disproportionate number of people named Larry and Laura (and other names starting with L) in the legal profession. Similarly, the average person is more likely to marry someone with a name beginning with the same first letter as his or her own. But if you ask Leonard why he married Leanne and decided to go into the landscaping business, don’t expect him to own up to the powerful influence of the alphabet. Some more surprises: men consider women far more attractive just before they ovulate. No one knows why, exactly, but it could have something to do with pheromones – chemical messages secreted by the body that signal fertility. The effect is pronounced: one study in New Mexico found that female strippers raked in an average of $68 per hour during peak fertility, compared to a normal average of $52 (and only $35 during ovulation). What these examples, and dozens more in Eagleman’s book highlight, is that the conscious aspect of our cognition is by no means the most central to our actions and choices. Although he lacked the tools that we have today to get inside the head, it seems that Freud – despite some questionable forays into unfalsifiable theory creation (e.g. the Oedipus complex) – was essentially right to believe in the paramountcy of the unconscious. Incognito offers an enjoyable amble through social psychology and modern neuroscience, but many will have heard about much of this material (about our non-rational side etc.) before. The most intriguing insights – at least for me – come, instead, in the form of Eagleman’s musings on neuroscience and the law; principally, about what a deeper understanding of the biological bases for our actions means for concepts like culpability and punishment. Also in his note, Whitman asked that an autopsy be performed after his death to determine if something had changed in his brain. And in an eerie harbinger of what was to come, he asked that his money be donated anonymously to a mental health foundation; “Maybe research can prevent further tragedies of this type.” Whitman’s intuition was spot-on: an autopsy, performed shortly after he was killed at the scene, revealed an aggressive brain tumour known as a glioblastoma, which had compressed his amygdala – a region of the brain associated with emotional regulation. What can cases like Whitman’s tell us about our criminal justice system? At first glance, not much – our system already enables such people to get off the hook, if it can be shown that their actions were not, for instance, voluntary. 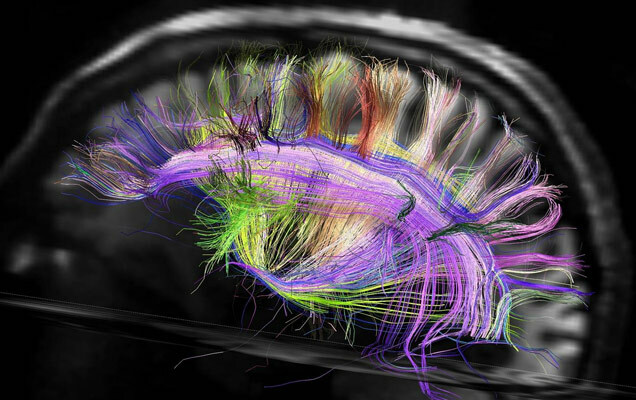 But if neuroscience is beginning to explain how all of our behavior is caused by our biological states – and that, consequently, we have no meaningful ‘free will’ (because such states are influenced by factors beyond our control) – shouldn’t we be letting everyone walk free? While our current style of punishment rests on a bedrock of personal volition and blame, the present line of argument suggests an alternative. Although societies possess deeply ingrained impulses for punishment, a forward-looking legal system would be more concerned with how to best serve the society from this day forward … Prison terms do not have to be based on a desire for bloodlust, but instead can be calibrated to the risk of reoffending. Of course, that is only the beginning of a rich conversation. But it suffices here for me to say that I think Eagleman’s approach is persuasive. If we take it seriously, it could require no less than a fundamental restructure of our criminal justice system. 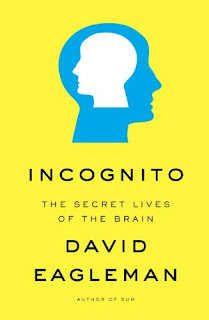 Such blue-sky thinking, besides the elegant descriptions of our brain’s ins-and-outs, makes Incognito a worthwhile read. 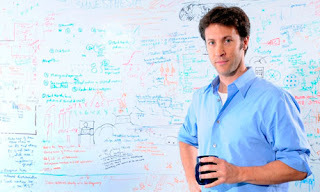 An interesting presentation by David Eagleman on ‘The Brain and the Law’ can be found here.